The multinational sponsored the DIVA Women’s Stage at Pride in London. As we find ourselves in the middle of the Pride season, there has been much comment about corporate involvement in various Pride events, and whether or not the input of big business detracts from the community aspects of Pride. It must, of course, be acknowledged that Pride events themselves – especially huge concerns like Pride in London – need to be paid for, and corporate sponsorship is the only valid alternative to charging what would doubtless be a most unwelcome entrance fee. All that said, and while the cash is always welcome, there are suspicions that some companies only become involved with Pride as a box ticking exercise in order to keep up with their competitors. This year, a new name appeared for the first time at Pride in London: Procter & Gamble, one of the sponsors of the DIVA Women’s Stage in Pride in London. Now, you probably know the name, but you may be a bit fuzzy about what they do. Well, they’re the people who make brands such as Head and Shoulders, Gillette, Fairy, Pantene, Oral B and many more. You will have at least one of their products in your home right now. What’s more, they have one of the biggest ad budgets in the world, so we’re dealing with some pretty big cheeses. 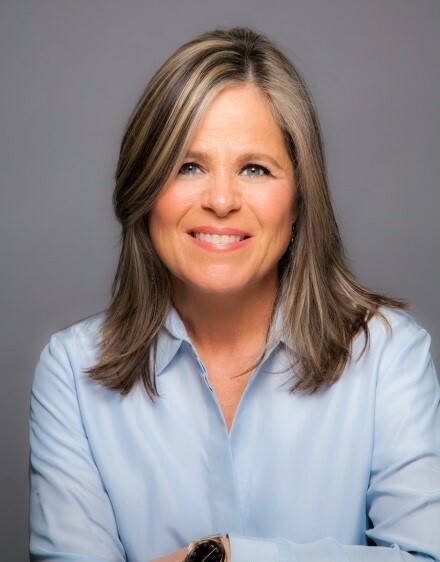 As we reported a while ago, P&G recently produced a short film called “The Words Matter” about the company’s journey towards LGBTQ acceptance and equality. 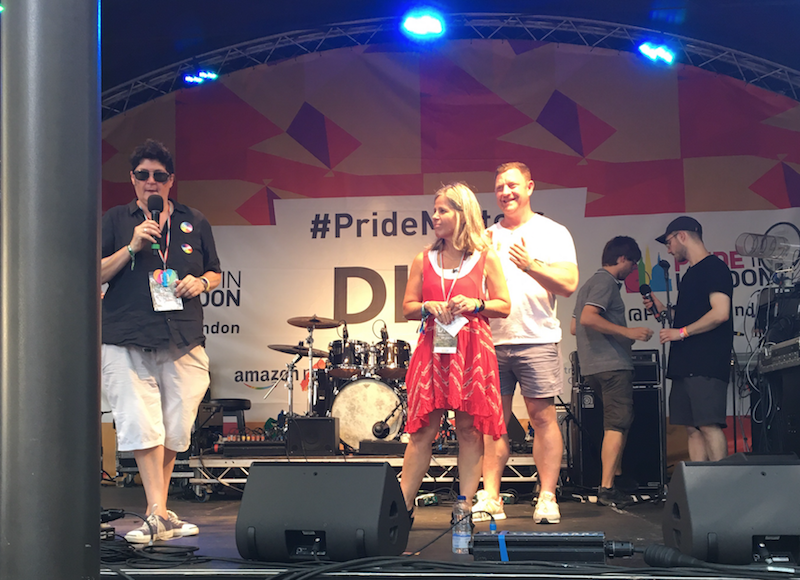 So when we heard that Shelly McNamara, P&G’s Vice President of HR, flew all the way from their Cincinnati HQ to attend Pride in London, we thought we’d grab a few minutes of her time. Shelly McNamara – she came all the way from Cincinnati! It was clear to us from the outset that, as far as P&G are concerned, their involvement with Pride is certainly not a box ticking exercise. Shelly told us how the company was committed to embracing the LGBTQ universe, and how activity such as Pride sponsorship sent a hugely powerful message not only to the company’s staff, but also to the wider world. For sure, flying into London to appear on stage for a few minutes sends that message on its own, but when a huge multinational attaches itself to one of the biggest Prides in the world, it’s difficult for less inclusive companies to ignore. We then moved on to a couple of tricky topics. I asked Shelly whether the company’s commitment to the LGBTQ community had faced any backlash from the American religious right, a lobby which is far more vocal and powerful than any equivalent here in Britain. “No,” she replied. We’ll leave that one there! Next, we asked about the company’s operations in territories where it is difficult, or perhaps illegal, to be openly gay. It’s a tricky circle to square for any multinational, and while LGBTQ activists might prefer companies to refuse to work in countries with tricky records on human rights, we live in an interconnected world where such a policy is simply unworkable. And yet, in these territories, the company is powerful. In many cases it is a major employer and, therefore has some clout. Consequently, according to Shelly, the company leverages its position to be a vocal supporter of LGBTQ rights while, of course balancing this commitment with respect for local customs and traditions which, I think we can all agree, need to be nudged along the right path rather than preached to in a neo-colonial fashion. For what it’s worth, I believe this is the best approach. There’s no point in throwing your toys out of the pram when you can lead by example to work towards changing attitudes. This is precisely what P&G are doing, and we support them. 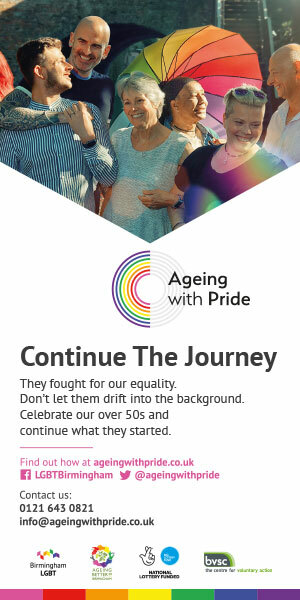 At a time when our news feeds are chock full of stories of big bad multinationals avoiding tax and eschewing any semblance of morality in their quest for ever larger bottom lines, it is truly heartening to witness an organisation like P&G genuinely embracing LGBTQ equality.